Why would I need self storage in Long Beach, CA? There are a variety of reasons why you might need self-storage in Long Beach, CA. How much is a storage unit in Long Beach, CA? The cheapest storage unit in Long Beach, CA is $70.00 per month. What size storage units do you have available in Long Beach, CA? In Long Beach, CA we have sizes that range from 5'x5' to 10'x30' to suit your storage needs. How much is it for a 5'x5' storage unit in Long Beach, CA? The cheapest 5'x5' storage unit in Long Beach, CA is $76.00 per month. Long Beach is one of California's most populous cities, attracting a diverse mix of families, young singles and retirees. The city has a variety of amenities, including shopping, dining and many parks and green spaces. It also provides easy access to a laid-back beach lifestyle, with miles of sandy shore to enjoy. Long Beach is considered part of the Los Angeles metropolitan area, and it shares a sunny, mild climate with much of Southern California. Many activities in Long Beach center on the nearby beaches, and water sports, beach volleyball and sunbathing are all popular choices in this active beach city. There are also several large theme parks in the area, including Knott's Berry Farm and Great Wolf Lodge Garden Grove. If you love the great outdoors, you'll find that Long Beach offers many opportunities to enjoy nature. The El Dorado Nature Center features a variety of walking trails, and the Long Beach Greenbelt is a large expanse of restored natural habitat for urban wildlife. Long Beach has countless other local attractions, including the Queen Mary, the Aquarium of the Pacific and several art and history museums. The city also hosts the annual Festival of Human Abilities, a unique celebration of the creative abilities of members of the disabled community. The Naples neighborhood in Alamitos Bay spans three small islands divided by canals that feature Italian-style gondolas. In the center of Naples, there is a large, well-known fountain called La Bella Fontana di Napoli, a popular spot for local picnickers. Most of the homes in Bixby Knolls date back to between 1920 and 1940, representing a large variety of architectural styles. The Richard Goad Theater provides a range of cultural experiences and is home to the Long Beach Shakespeare Company. Among the residents of Belmont Heights are its famous wild parrots, which live in the many palm trees dotting the neighborhood. Here, you can find some of the oldest homes in Long Beach, with some dating as far back as 1905. 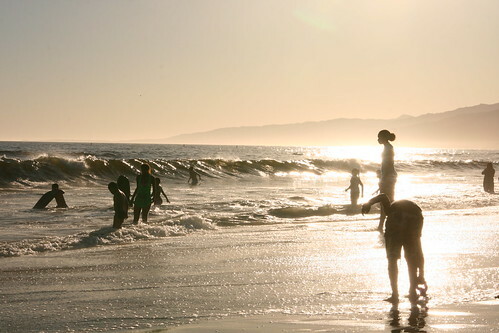 Belmont Shore borders a portion of Long Beach's coastline, with a local culture that is largely focused on an active, casual beach lifestyle. It's home to many sailing and water sports events, as well as the Long Beach Sea Festival, which features activities including sand castle building and boat racing. The Long Beach Unified School District serves most of Long Beach. You can also enroll your children in a number of local private schools, most based in religious education. If you're planning to pursue your college degree in Long Beach, there are two main post-secondary institutions. California State University-Long Beach is the area's public university, and Long Beach City College is a community college offering two-year degree programs. Utilities: Southern California Edison is the central electricity provider in the area. The City of Long Beach manages water, sewer and gas utilities. Garbage and Recycling: The city provides curbside collection of trash and recyclables for both single-family and multi-family homes. You can also request bulk item pick-up. Public Transit: The main form of public transportation is Long Beach Transit buses. The Metro Blue Line also stops in Downtown Long Beach and North Long Beach and runs to Downtown Los Angeles, for those who want to avoid heavy traffic on the 710 and 110 freeways. The median home price in Long Beach is significantly higher than the national average, largely due to its location on the coast. However, the city has a range of housing options, including single-family homes and multi-family communities. Keep in mind that parking is hard to find in apartment-heavy neighborhoods. Our lowest priced units in Long Beach, CA average $99.33 per month. 945 people have reserved units in Long Beach, CA in the past 30 days. There are 12 locations within Long Beach, CA's city limits. There are 3 locations in Long Beach, CA that offer AC and Heating features.